Osteopathic medicine was founded by Andrew Taylor Still in 1874 as an alternative school of thought to the prevailing medical practices of those times. Osteopathic doctors (DOs) are licensed physicians who can prescribe medication and practice in all specialty areas in the United States. Today, DOs account for almost a quarter of medical students in the United States, according to the American Association of Colleges of Osteopathic Medicine. “The philosophy behind osteopathic medicine is the idea that the musculoskeletal system and the body's normal functioning are interrelated,” says Paula Ackerman, DO , with TriHealth Orthopedic & Sports Institute , who specializes in osteopathic medicine and other treatments of neuromuscular and musculoskeletal disorders. Today, students of osteopathy receive the same training as medical doctors but also learn manipulation techniques such as adjustments of the bones, ligaments and muscles to use in conjunction with conventional treatments, TriHealth explains . Since 1962, all DOs have been recognized with full practice rights in all 50 of the United States, as well as many countries worldwide. Osteopathic doctors are most often primary care practitioners but may specialize in obstetrics, family medicine or pediatrics. As part of patient care, DOs may prescribe drugs and perform surgeries as well as focus on holistic techniques and lifestyle habits that can help prevent injury or disease. Still's theory was that any problems in the body arise as a direct result of abnormal signals from the spine. He called these problems "osteopathic lesions" that could be detected by manipulation of the skin, joints and the body's soft tissue. To address these issues, he came up with osteopathic manipulation techniques (OMTs). Today's osteopathic doctors use OMTs to target specific ailments. Dr. Ackerman cites a systematic review and meta-analysis published by the Journal of the American Medical Association in April 2017 , which showed that spinal manipulation was found to modestly improve pain and function in acute low back pain. 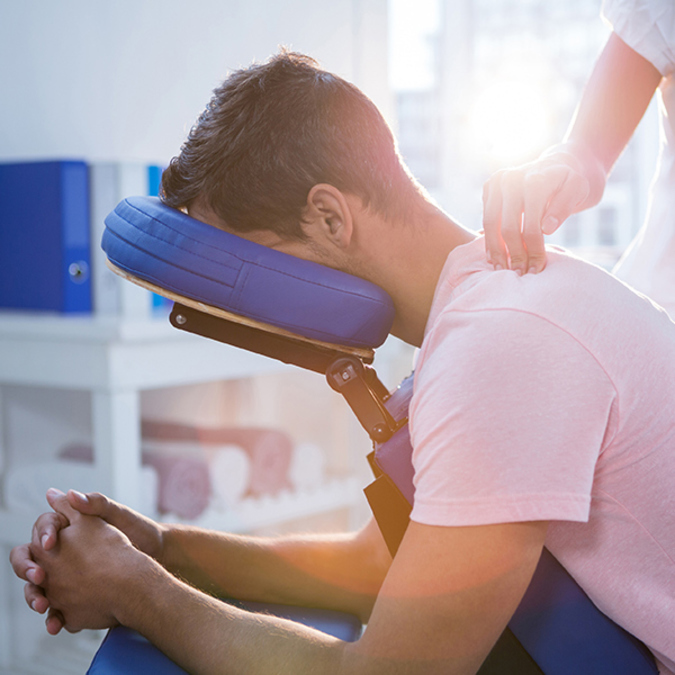 “Together with chronic pain management, osteopathic manual therapy offers a non-medication complement to improve function and symptom relief for acute and chronic pain conditions such as neck and back pain, joint pain and headaches,” Dr. Ackerman says. There are two general categories of OMT: indirect and direct. An indirect OMT is one that uses a passive approach, which Science Direct calls "extremely gentle and yet effective at the same time." The idea is to move the painful tissues in the precise opposite direction of the muscle's resistance. Strain-counterstrain is one form of indirect OMT that may be prescribed to treat chronic pain. The Academy of Osteopathy explains that when a DO finds a patient's pain to be a "continuing, inappropriate strain reflex," he or she can apply a "position of mild strain in the direction exactly opposite" by finding one of the body's 200 "tender points" and positioning the affected limb to shorten the muscle until the pain is minimized. This technique may be indirect or direct, according to the Oregon Health & Science University . The aim is to relax the contracted muscle, increase circulation and stimulate the stretch reflex of the soft tissues and surrounding muscles. Another form of chronic pain therapy can be provided through direct OMTs, where the painful tissues are moved in the same direction as the area of restricted movement. A DO may direct a patient to practice lateral or linear stretching, deep pressure or muscle traction to treat chronic pain as part of the soft-tissue mobilization technique. Osteopathic doctors may choose to employ an HVLA technique to use brief, swift therapeutic force to target the painful area and relieve the joint or muscle's sense of restriction. The aim of any OMT is to allow the body the opportunity to achieve balance and heal itself. Chronic pain that has not responded to other treatments may benefit from OMTs performed by a board-certified DO. Call TriHealth today to find out how a DO might help you control your chronic pain and meet long-term goals.